Omenana, a monthly speculative fiction e-magazine, is open to submissions from writers from Africa and the African Diaspora. 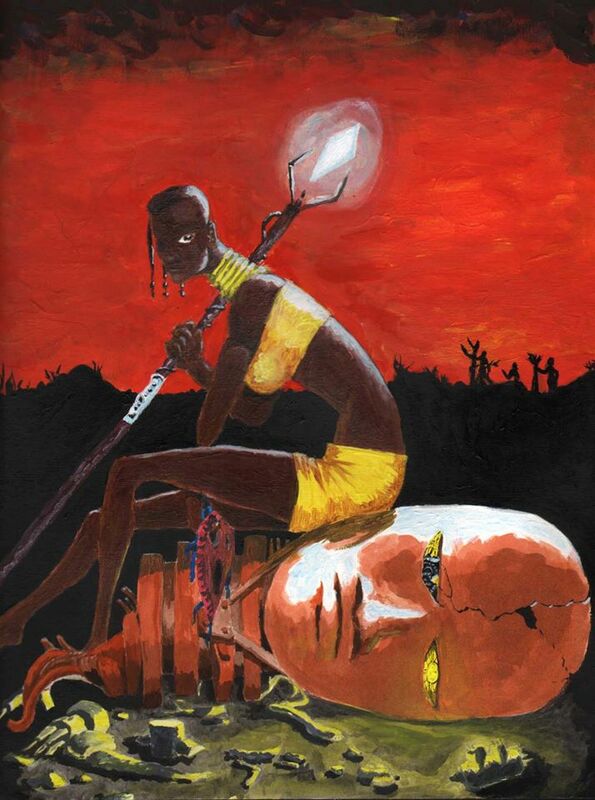 Stories and art must be speculative fiction (Fantasy, Science Fiction, Horror or Magical Realism) and must involve characters, settings or themes directly related to the African continent. Stories and art should challenge normative ideas about gender, sexuality, ethnicity and religious belief. All stories and art must be in English (translations welcome), must be original works (no fan fiction, sorry) and previously unpublished. We are very much interested in works that explore alternative futures for Africa and people of African descent – with a preference for positive iterations (though dystopias are welcome too). We would also like to see explorations of the past as well as new interpretations of myths, folklore and magic. We do not accept graphic violent or sexual content. Above all, we are looking for original ideas, excellent writing and a strong emotional core. We are also open to essays and reviews that deal with our interest in African speculative fiction. We DO NOT accept poetry, drama or film scripts. With our first issue we are working with an open theme, but in future editions we will restrict entries to themes. All work must be submitted by e-mail to sevenhills.media@yahoo.com as a single attachment in one of the following file formats: .doc, .docx, .rtf, .odt. Submissions will open by 1 am October 11, 2014 and close by 12 pm October 30, 2014 (Nigeria time). Work submitted after this deadline will not be considered. All text submissions must be 12-pt font, doubled-spaced. Short fiction should be no more than 5,000 words. You can send in two flash fiction pieces but they should not exceed 1,000 words each. We encourage submissions of creative non-fiction of no more than 3,000 words. Reviews should be between 800 and 1,500 words. Essays should not exceed 3,000 words. Graphic fiction and visual art should be sent in as .jpeg. Please don’t send revised drafts of works that are already published (both online and offline) unless we call for them. Include a cover letter in the body of your e-mail providing contact details (name – not the pseudonym you write under, address, email and phone number), a brief publication history, a bio of no more than 100 words and a profile photo . We will respond only to selected writers. If you don’t hear from us by November 15 2014, please assume your work was not chosen and do not send a query. We intend to make this a paying platform in the future, but this is not something we can do at this point. The magazine will go live by November 30 2014. Have a look at this. if you know anyone who might be interested let em know.